What an unbelievably subtle and beautifully understated little flower! Checking over the greenhouse today and there on one of Jude’s mixed Primula auricula seedlings was this one little beauty. How clever Mother Nature is, thinking of pairing cinnamon and lemon yellow. she then considered texture and added a dusting of castor sugar and a light sparkle of frost crystals. Into the centre she dropped a trio of circles in shades of green forming a little bull’s eye. 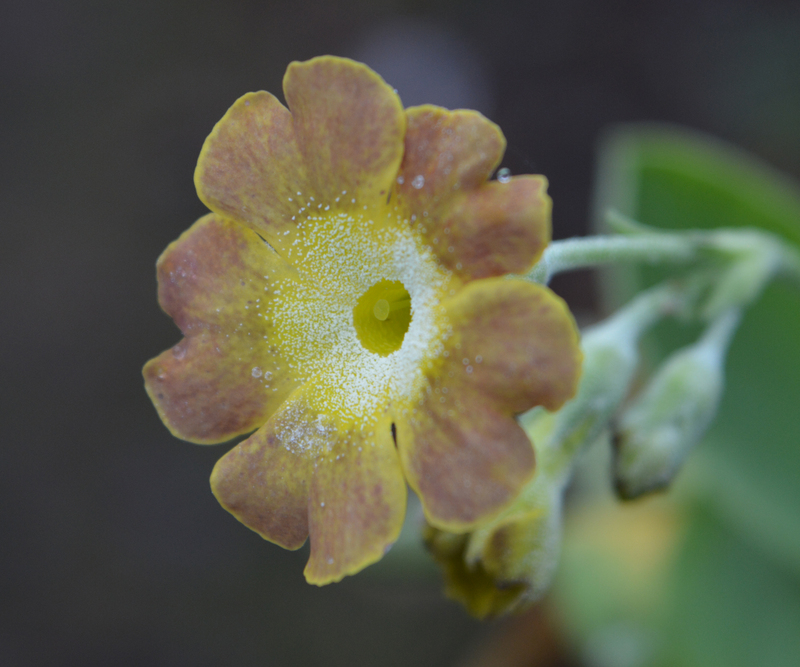 Taking a peek behind the Auricula’s bloom the same colours appear but in a very less organised fashion. The light on the stems catch the whiteness of the farina which turns it into silver dust. Simply beautiful! 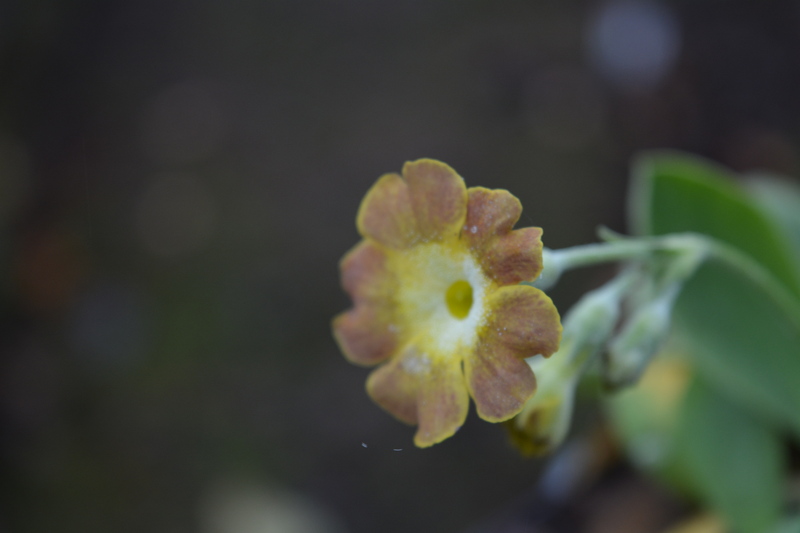 This entry was posted in colours, garden photography, gardening, light, light quality, photography and tagged auricicula, colour, colour combinations, colour in the garden, primula auricula, primulas. Bookmark the permalink. Yes, I think that Jude, the undergardener looks particularly beautiful when she has been cooking and is dusted in castor sugar and lightly sprinkled in crystals . 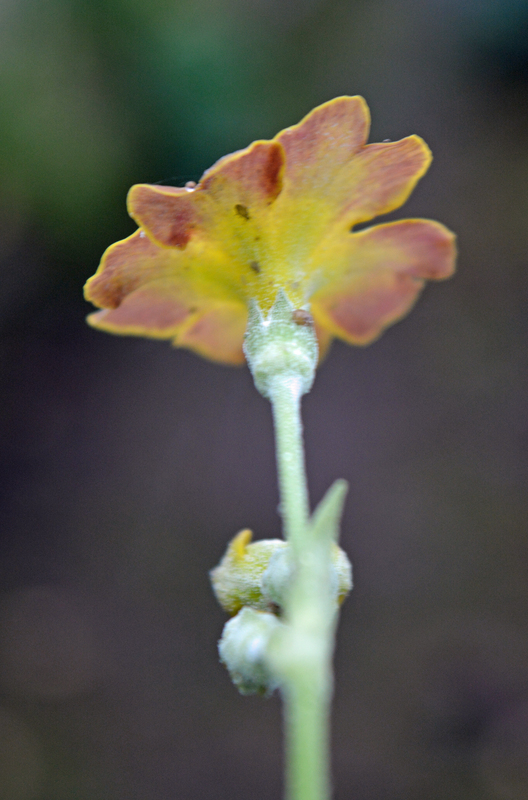 Or are you talking about the primula? That’s lovely too!